Obituary for Charles Robert Hamilton I | Beach Funeral & Cremation Services, Inc.
SHCM Charles R. Hamilton I, 78, was born on January 15, 1941 in Newburn, Tn to the late Florentine Perkins and Issac Hamilton. Master Chief Charles Hamilton was a proud veteran of the US Navy enlisting directly after graduation in 1959 from Booker T. Washington High School in Memphis, Tn. Master Chief served with honor and distinction. Retiring in 1989 after 30 years of service to his country, Charles received many letters of commendation, citations, awards and medals. 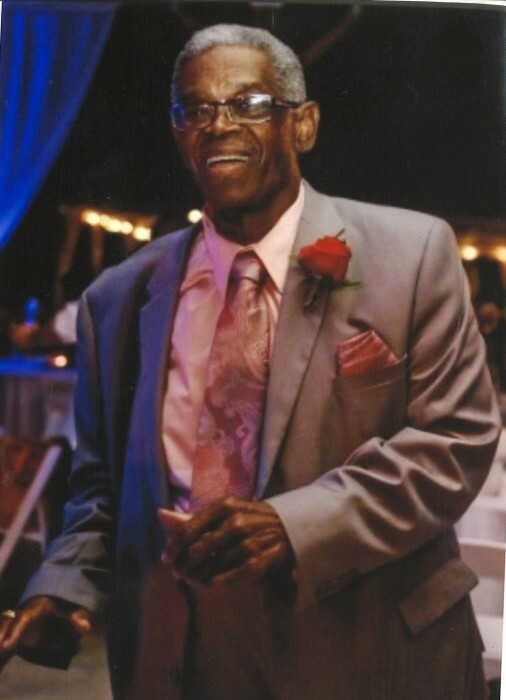 For the last twelve years, he has been attending St. Luke AME Church and was a very faithful member. He held the positions as Trustee Pro-Tem, Church Treasurer, Scholarship Committee Member, Women’s Missionary Society Associate, Willing Workers Member, Male Chorus Member, AME Annual Conference Delegate and AME District Conference Delegate. Besides his parents, Charles was predeceased by his brother, Reginald Perkins and grandmother, Elzora Davis-Moore. Charles leaves to cherish his memory, his beloved friend and ex-wife, Zadie M. Echols Hamilton; three children, Zadie Van Ermen, Pamela Delbrey (Ricardo), Charles Hamilton II (Coleen); brother, Gerald Hicks; six grandchildren, Jessica Voodre, Ricardo Delbrey (Aryana), Alicia Goodro (Evan), Amanda Van Ermen, Charles R. Hamilton III, Michael Delbrey; six great grandchildren, Selena Voodre, Elijah Higgins, Lola Delbrey, Lia Delbrey, Nala Hamilton, Nolan Hamilton, Lauren Hill; special daughter, Desiree Hill and a host of other relatives and friends.